Ian Fleming Publications Ltd has chosen international bestselling thriller writer, Jeffery Deaver, to write a new James Bond book. The novel, currently known as Project X, will be published one year from today for Ian Fleming�s birthday � May 28, 2011. It will be published by Jeffery Deaver�s publishers Hodder & Stoughton in the UK and Simon & Schuster in the US. 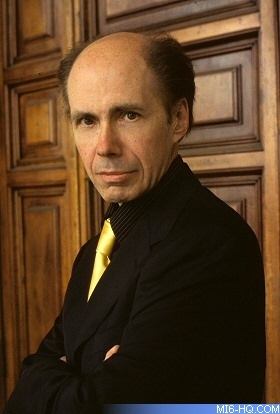 Jeffery Deaver has written 26 novels and sold more than 20 million books worldwide. His books have topped the charts on both sides of the Atlantic and he has been described as �the most creative, skilled and intriguing thriller writer in the world� (Daily Telegraph) and �the master of ticking-bomb suspense� (People magazine). In 2004, Deaver won the Crime Writers� Association�s Ian Fleming Steel Dagger Award for his book Garden of Beasts. In his acceptance speech he talked about his life-long admiration of Fleming�s writing. 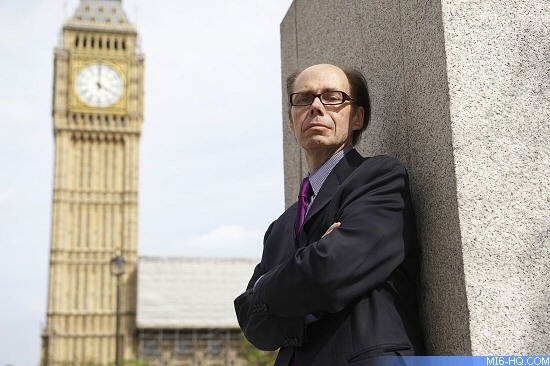 Above: Author Jeffery Deaver in London. Unlike Sebastian Faulks� centenary novel, Devil May Care, Project X will be set in the present day. Jeffery Deaver has started work on the book and his title is yet to be revealed. Project X by Jeffery Deaver will be published on May 28, 2011 by Hodder & Stoughton in the UK and by Simon & Schuster in the US. All Jeffery Deaver�s books have been published in the UK by Hodder & Stoughton and in the US by Simon & Schuster and Penguin. In the US, Pocket Books, an imprint of Simon & Schuster, publishes the paperback editions of Jeffrey Deaver's books and will also publish Project X in paperback. I can still recall the moment when I heard on the news that Fleming had died � I was in my mid-teens. It was as if I had lost a good friend or uncle. Nearly as troubling was the TV anchorman who reported that Bond, too, would die in the final pages of the last book, The Man with the Golden Gun. I was in agony until I could buy it the moment it was released. I read it in one sitting and learned the truth - at least I'd only have to mourn the loss of one of my heroes, not two. As far as any parallels between Bond's life and mine, there are a few, I'll admit. I enjoy fast cars � I've owned a Maserati and a Jaguar, and I now take my BMW M3 or Infiniti G37 to the track occasionally. I'm a downhill skier and scuba diver. I enjoy single-malt scotch and American bourbons�not vodka, though if I recall from my reading of the Bond books, the spy himself drank whisky considerably more often than his "shaken, not-stirred" martinis. Jeffery Deaver is the author of a number of internationally bestselling crime series. He is best known for his Kathryn Dance and Lincoln Rhyme books, most notably The Bone Collector, which was adapted for film in 1999, starring Denzel Washington and Angelina Jolie. Deaver has also written two award-winning short story collections, as well as stand-alone novels including Garden of Beasts and The Bodies Left Behind, which was named Novel of the Year at the International Thriller Writers� Awards in 2009. Deaver was born near Chicago in 1950. Before becoming a full-time author in 1990, he was a journalist, like Fleming, and attorney. He started writing suspense novels on the long commute to and from his office on Wall Street. His books are now translated into 25 languages. Deaver lives in North Carolina. Deaver�s latest Lincoln Rhyme thriller, The Burning Wire, will be published in the US on June 1st and in the UK on July 22nd. A standalone thriller titled Edge will follow in November 2010 in both the US and the UK.